181 in stock Need More ? Reprint. Originally published: Place of publication not identified: Whiting & Wheaton, 1966. The Endeavour has made rocket ship history. With its automatic pilot and artificial gravity, anyone is qualified to fly to the moon. But the scientists who designed it did not envision the hidden dangers of lunar exploration. Nor did they foresee the kind of violence that could erupt among the five mismatched crew members in a lonely space capsule. 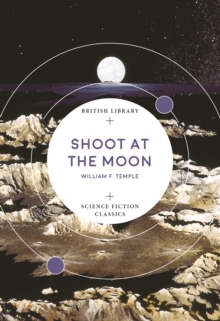 The Endeavour's captain, Franz Brunel of the British Space Service, has to contend with the many perils that await him on the surface of the moon. Soon a murderer is among them. Now, contemporary readers have the chance to enjoy Temple's unusual blend of traditional SF with a darkly ironic tone.